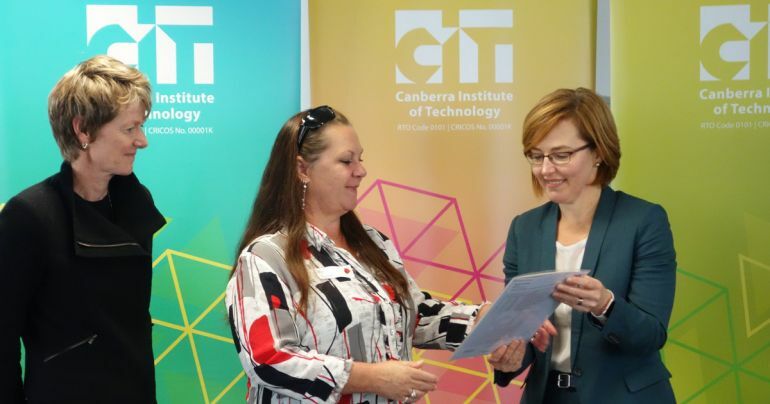 At a recent ceremony, CIT acknowledged the students completing the Return to Work for Women program. The course is designed for women who are looking to re-enter the paid workforce after an extended absence. The course has seen great success over recent years, with a 90 per cent completion rate and with approximately 76 per cent of graduates going on to employment or further training in an area of interest. Business Administration and Community Work have been areas of particular interest for this semester’s cohort. CIT’s strong industry partnerships with a variety of organisations provide great opportunities for valuable work experience which can often lead to employment. If you have been out of the workforce for a while, this could be the right first step for you to regain your confidence, update your referees, brush up on your professional skills and learn computing and digital literacy skills to improve your chances of successfully re-entering the workforce. Learn more about the course – Certificate II in Skills for Work and Vocational Pathways (FSK20113). Image: CIT Chief Executive Officer Leanne Cover and Meegan Fitzharris MLA presenting a graduating student with her graduation certificate.